Deirdre Heekin smiles a welcome as she hands us each a glass of sparkling Nebbiolo. It’s a glittering Vermont evening in high summer. The sun’s still shining, so the day’s full moon hasn’t yet risen over the rolling fields to our east. We raise a genial toast to her, then carry our glasses from the shelter of this open barn to greet the other guests in the garden. There’s a group already gathered by the tasting station, lined with the evening’s wines from Tuscany and Campania. Other guests stroll the fledgling vineyard or drape languorously on lawn furniture, savoring this bright moment of our fleeting northern summer. Deirdre’s husband, Caleb Barber, is at the cooking station, stoking the hardwood fire, furiously toasting bread and grilling eggplant and radicchio for crostini. A slate chalkboard displays the evening’s menu of simple, elegant appetizers contrived to pair with the wines. It’s really just finger food, but no one will leave hungry. The guests gathered here at Deirdre and Caleb’s home are writers and restaurateurs, publishers and professors, software execs and Aikido sensei. 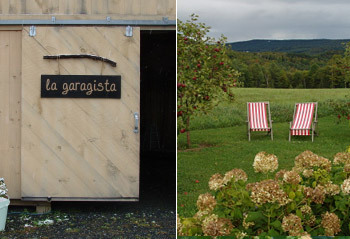 Each has come to enjoy the party in the barn and vineyard the hosts call La Garagista. The couple runs a tiny, flawlessly authentic Italian restaurant and wine bar in Woodstock, Vermont, Osteria Pane e Salute. Now in its thirteenth year, the restaurant has won acclaim from such publications as Food and Wine, Bon Appétit, and Travel and Leisure. 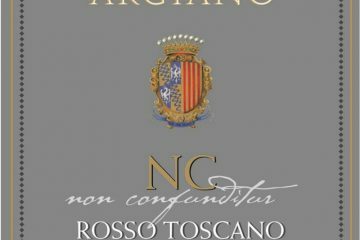 Its Italian “revivalist” menu of traditional regional dishes is complemented by an extensive wine list. Caleb commands the restaurant’s kitchen. A master chef who trained in Italy, he emphasizes what’s in season, sourcing provisions locally—even from the couple’s own organic gardens—to craft Italian dishes infused with the flavors of Vermont’s landscape. Deirdre, meanwhile, runs the front of house, graciously serving as host, maître d’, and sommelier. There is only one seating, so your table is yours for the evening, and Deirdre is your spirit guide through the meal, suggesting wines matched to the menu’s regional cuisines. Deirdre is also an exquisite writer. Her food writing has appeared in journals and anthologies, including Gastronomica and Best Food Writing. With Caleb, she has authored a cookbook and, more recently, In Late Winter We Ate Pears, a memoir with recipes of their first year of marriage. In her latest book, Libation: A Bitter Alchemy, Deirdre recounts her experiences developing her vinous palate, deepening her knowledge, and trying her own hand at the making of wines and spirits. She is driven to understand the role these play in the fabric of culture, and to document her own quest to insert herself, as producer, into the narrative begun centuries ago by old world winemakers and liquoristes. Deirdre’s exploration has landed her in remote Italian hill villages, country cafés, vineyards tended by nuns, and even dusty bookstores, like the one in the Spaccanapoli neighborhood in Naples where, in the yellowing pages of an old cookbook, she once discovered a recipe for rosolio. That particular formula for the southern Italian liqueur was made from rose petals, using techniques easily mastered by home cooks. Back home in Vermont, Deirdre used roses from her garden to make her own batch of this sweet liqueur. The hook was set. 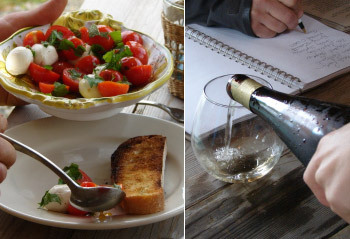 Cooking with their own produce, making their own liqueur—it seemed the leap to making their own wine was nearly inevitable. “To be fed by wine or food from our location is the best possible way we can live on our land,” she told me recently. But a vineyard in Vermont? Yes, it is possible. Cold-hardy, short-season varietals like Frontenac, Frontenac Gris, St. Croix, and Marquette yield reasonably and can survive the -30 degree Fahrenheit winters. So two years ago, Deirdre, with Caleb’s ample help, planted 50 of these vines in their dense clay soil. This year they planted 250 more. Next year she’ll plant another 300, and by 2011 she’ll enjoy the first small harvest. Production will be in full swing by 2013. She’s now in the process of having the property bonded as a winery, but in the meantime, she has been making wine with purchased grapes, her first rough experiments yielding passable results—but real wine—and lots of learning opportunities. Libation is a kind of memoir of her learning process, and of her circuitous journey through the underworld of spirits. We follow her to Rome, where, on a sultry October evening, she tastes her first Campari. We read of her search to acquire a bottle of the scarlet-hued alkermes, a rare and storied liqueur flavored with cinnamon, cloves, nutmeg, coriander, and vanilla. We are with her in an artisanal perfumery in Paris, where she is suddenly struck by the similarities between the work of the master parfumeur and that of the sommelier, both of whom must learn to divine the infinite mysteries of these bright spirits, and to harness them in service of their craft. “Taste is connected to history,” she continues, “the history of the table, which is, after all, a narrative history, an oral history. The tongue experiences; the mouth tells a story.” Our experiences of the table and the glass help seal the memory of a place and its people in our minds. Taken together, these memories constitute a culture’s history. Some summer full moon evening, not too long hence, we’ll gather again on the lawn at La Garagista, and raise a toast to Deirdre with a glass of her own wine. 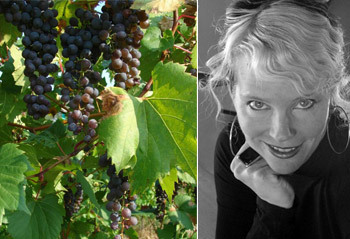 Meg Houston Maker is an experienced cook and gardener, passionate about growing, preparing, and sharing beautiful food. A nonfiction essayist currently writing a memoir of home, she also authors Maker’s Table, a journal of food, wine, and the pleasures of the table, and can be found on Twitter @makerstable. I read this beautiful piece unsure if it was a review of a book or a review of a restaurant or perhaps a profile of a person. In the end I realized it was all of those things, but crafted in such clever fashion that I felt I knew Deirdre quite well. It will be a pleasure to read her book and follow her winemaking adventures. Evan, thank you for your kind comments. You’re right; this was not a book review, or not merely so—Deirdre’s too complex for that treatment. I do hope you enjoy her wonderful book, though. And if you’re ever in central Vermont, be sure to reserve a spot at their restaurant. It’s a rare treat. Thanks Evan for your enthusiasm toward reading the book! And thank you to Meg for her wonderful writing, so deftly expressing what I hope to bring to the table and the page. I see Libation really as the first of a series (I hope!) 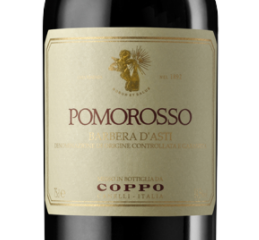 following the vignettes of a vineyard and the story of an unlikely wine maker. Already, new thoughts, new philosphies, new efforts…..